Haier announced the launch of its Frost Free Vertical Freezers – H2F-220WAA and H2F-255WAA in India. In an effort to maintain a perfect work life balance, families everywhere are constantly looking for ways to speed up meal prep without compromising on health. 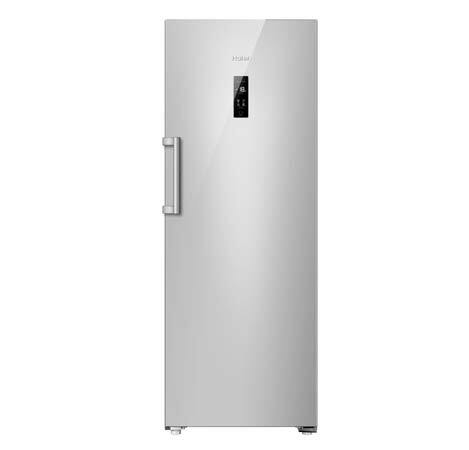 To cater to the evolving lifestyles of its consumers, Haier has introduced a range of large storage capacity freezers with advanced technology. The new range of Vertical Freezers can be divided separately into controlled compartments which are ideal for stocking a large variety of frozen food items in the most favourable conditions, ensuring that the food retains its nutritional value for a longer time span. Staying true to its philosophy, Haier has introduced these Vertical Freezers to provide consumers with an option beyond conventional freezers. Be it your home made chocolates or ice cream or any other frozen food, Haier Vertical Freezers ensure that the food is served in its optimum state. With separate vents for individual shelves, users can be assured that every food item stored retains its specific characteristics in terms of smell and taste. This is also helpful in scenarios where family members have diverse preferences for Veg and Non Veg food. So, stock up your new Haier Vertical Freezer and avoid mundane and tedious daily grocery shopping.